Taking its name from the Gaelic for ‘dawn’, Moch is a wonderful newcomer from this renowned distillery. It is the first single malt from Caol Ila to be selected for taste alone: sweet, smooth and lightly smoky, unconstrained by age, cask wood, strength or finish. To nose, it’s clean, appetising and shows subtle citrus fruit with just a puff of smoke. Smooth and pleasant in the mouth, it begins sweetly then yields a fragrant smokiness then a delicious sweet-smoky, lingering finish. 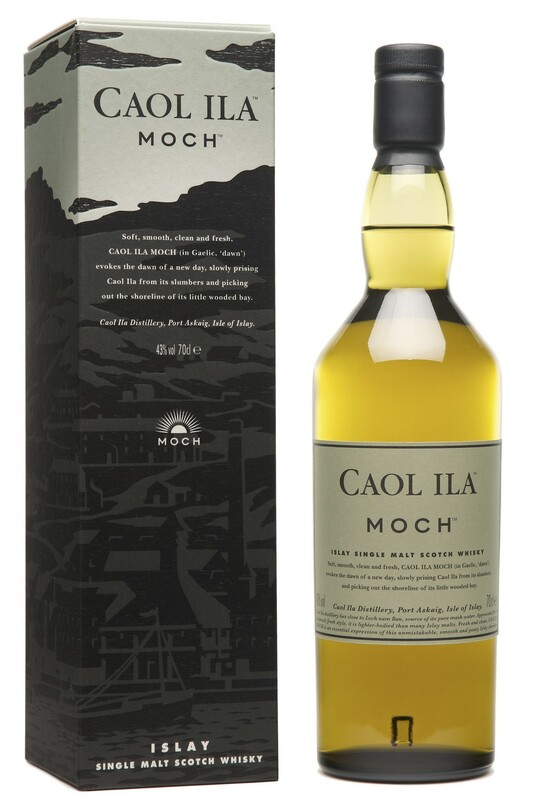 No matter whether you already love Caol Ila, or just wish to expand your appreciation of one of Islay’s finest malts, Moch will amply repay your time and investment. To be able to purchase Caol Ila Moch you must be a Friend of the Classic Malts. Friends must login to the FRIENDS corner ( top right hand corner of your screen). From your home page, click on the link to purchase Caol Ila Moch and this will take you through to The Whisky Exchange website. If you are not currently a Friend of the Classic Malts, please sign up on the home page of Malts.com. Once you receive your login details as a new Friend (it can take up to 48 hours for you to receive this) you can then order our new Caol Ila Moch. For Josef’s choice we were treated to the no-age-statement (NAS) Caol Ila Moch. Josef wanted to bring us something from the Caol Ila distillery on Islay and their 2011 released Moch, Moch being Gaelic for Dawn, fit the bill exactly. Initially only available to the Friends of the Classic Malts, Moch was the first single malt from the distillery to be selected entirely on the basis of its taste, rather than age, cask wood, strength or finish. This is Caol Ila’s ‘NAS’ expression – as part of the restructuring of Diageo’s single malts (classic malts & the rest) each distillery has been the focus of an expansion of expressions into a range fitting different flavour profiles. This is still continuing apace with rumours recently of a new Dalwhinnie expression (I’ll be pleasantly surprised if there are numbers on this bottle but suspect not). So as well as the standard 10/12/14 year old, almost obligatory 18 (or 21) year old, and the possibility of the odd Distillers Edition (cask-finished) still being released, each distillery is now releasing at least one or more NAS expression highlighting a lighter (read: younger!) style to appeal to more consumers. I guess a small part of brand loyalty may drive stalwart distillery ‘x’ drinkers to complete their whisky shelves with these new expressions from their distillery of choice too? Medium length, dry, sooty and very more-ish. Moch is a wonderful newcomer from Caol Ila and is a must-try for fans of this outstanding distillery. Lighter in style than the standard 12 Years Old expression, Moch is a fantastic easy-drinking dram.